Water Hammer – One of the most common causes of noisy pipes is known as water hammer. Water pipes carry a significant amount of pressure. If running water is interrupted by turning the faucet off quickly, the halted pressure travels back through the pipes, making a hammering noise that sounds as unnoticeable as a single tap, or loud and continuous like a jackhammer. Typical residential plumbing has air cushions that absorb the excess pressure, but can get worn out over time and will need to be fixed by a professional. Squealing Pipes – There are many reasons why water pipes can start squealing. One of the most common causes is an old, worn-out main shut off valve. You can tell this is the source if the sound carries throughout the house. Worn-out washers are another common cause of squealing pipes. Replacing these parts should be fairly simple with proper precautions, but if you’re not confident in replacing parts of your home’s plumbing, call a professional. Loose Pipes – Loose pipes are somewhat similar to the sound a water hammer makes, except that it happens randomly, instead of being triggered by faucets and showers opening and closing. If this is the case, your water pressure may be too high. Installing a pressure-reducing valve solves this problem. Toilets – A common problem with toilets is a banging or rattling noise heard as the tank ends its fill cycle. If this is the case, the ballcock assembly, the part that regulates the fill process, is worn out and will need to be replaced. 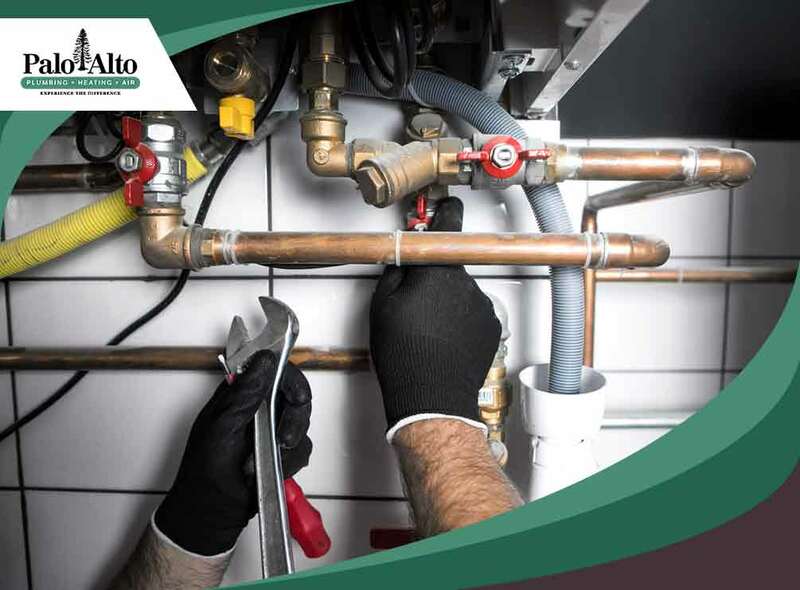 To learn more about our plumbing services, call Palo Alto Plumbing Heating & Air today at (650) 856-3400 or fill out our contact form to schedule an appointment. We are located in Palo Alto, CA and service surrounding areas.